In this episode of WichitaLiberty.TV: United States Representative Tim Huelskamp of Kansas appears to explain the recent budget bill, Obamacare, the government shutdown, the debt ceiling, government spending, and whether he is optimistic or pessimistic about the country’s future. Episode 25, broadcast December 22, 2013. View below, or click here to view at YouTube. Rep. Huelskamp’s Congressional website is huelskamp.house.gov. At a time that conservatives are concerned with the direction Speaker John Boehner is taking in negotiations over the fiscal cliff, he gives conservatives another reason to worry. So perhaps it’s not surprising that Boehner has taken steps to discipline a handful of members, including Tim Huelskamp, who was just re-elected to a second term representing the Kansas first district. Three of the four are notable for their votes on fiscal issues, voting for limited government rather than expansion. An open letter from Congressman Tim Huelskamp of the Kansas first district to Republican Kansas State Senators Pete Brungardt, Jay Emler, Terrie Huntington, Jeff Longbine, Carolyn McGinn, Steve Morris, Tim Owens, Roger Reitz, Vicki Schmidt, Jean Schodorf, Ruth Teichman, Dwayne Umbarger, and John Vratil. These are the “traditional,” “reasonable,” “moderate” Kansan Republicans. While all Republicans in Washington are working hard to fulfill Kansans’ wishes to stop ObamaCare from destroying our liberties, I am disappointed that you and many other Topeka politicians are actually hindering our efforts. The reasons to undo ObamaCare are countless. It carries a trillion-dollar price tag over the next decade. It increases family premiums, burdens our small businesses, invades our privacy, and stomps on our religious freedom. States like Kansas will continue to bear the costs of expensive federal mandates. And, Secretary Kathleen Sebelius has refused to offer waivers she was more than willing to grant to unions and businesses connected to the Obama Administration. As you may know, before being elected to Congress, I strongly supported adding the Health Care Freedom Amendment to our state Constitution. If passed, it would allow Kansans to have a say on a law they fundamentally oppose: ObamaCare. The citizens of Ohio were given this opportunity — so should the people of Kansas. However, when this Amendment came to you during the 2012 Session, I was extremely disappointed that you refused to allow a vote of the people if the law was upheld by the Supreme Court. What a mistake. Kansans deserve to have a say on ObamaCare — whether you like it or not — and whether a narrow Supreme Court majority refuses to defend the Constitution. As you know, ObamaCare is a significant threat to the wallets, the liberties, and health care access of Kansans. It was rammed through Congress behind closed doors, without public input, and many are still reading it “to see what was in it.” And for you to hide behind the Supreme Court and with Obama, Pelosi and Reid instead of the people of Kansas — that is very disappointing. In closing, please reconsider your opposition to putting the Health Care Freedom Amendment to a vote of the Kansas people. Pompeo meeting tomorrow. From the congressman’s office: “Kansas Fourth District Congressman Mike Pompeo will host a town hall meeting at the WSU Hughes Metroplex in Wichita on Saturday, March 24 at 11:30 am. Congressman Pompeo will take questions from constituents and discuss issues related to Congress and the federal government. The public and members of the media are welcome and encouraged to attend.” The WSU Hughes Metroplex is located at 5015 East 29th Street North. Ambassador Hotel. The free-market organization Heartland Institute contributes coverage in the special election in Wichita regarding the Ambassador Hotel. Of special note is how some people just don’t get it. Writes the reporter: “Reflecting on the defeat of the rebate, [Wichita Downtown Development Corporation chair Tom] Docking said, ‘The anti-development, anti-tax populace out there are numerous and they’re well organized.’ Weeks objected to this characterization. ‘We’re not anti-development. I am a capitalist. . . Anti-tax, yes, we’re very much that. But ‘organized’ I don’t think applies to us at all. We beat it back this one little time. '” … Docking was also quoted as saying the election “was portrayed in a lot of circles in a way that was not accurate.” I should mention that WDDC and Docking were extended several invitations to appear at forums where the issues could be discussed. No one would agree, with Docking and others preferring to level their charges in forums where they knew they would not be challenged or held accountable. By U.S. Representative Tim Huelskamp, who represents the Kansas first district. Do politics reflect culture, or does culture reflect politics? In a representative form of government, what happens in Washington should be a reflection of what happens in each of the communities and among the people of our country. Those elected to serve are to carry to Washington the views, ideas, and priorities of their constituents. Not the other way around. But increasingly, President Obama is attempting to transform the culture of our nation using manipulative political means. President Obama seeks to replace America’s culture of self-reliance with a culture of dependence, religious liberty with intolerance and compulsion, and the American Dream with more American debt. He relies on the politics of envy and the punishment of success to manipulate the American people into believing that without government they are missing something to which everyone is entitled regardless of effort or merit. He argues “fairness” means everyone has the same outcome, not the same opportunity. By standing in the way of economic recovery, the Obama Administration has forced a record number of people on to food stamps. But, the President is just fine with that. It means more Americans depend on political elites like him who merely take resources rather than produce them. By forcing Catholic employers to pay for or provide contraception and abortion drugs, demanding health care providers and medical students to take part in activities that violate their consciences, or censoring military chaplains to preach sermons or perform ceremonies contrary to the tenets of their faiths, the Obama Administration has signaled its willingness to trample on religious liberty. It means bureaucrats have a greater grip on the American people than churches, synagogues, and mosques. It turns an “appeal to a higher power” from a prayer to God to a call to a Washington theocracy. By refusing to deal with $16 trillion in debt — an I.O.U. larger than the size of the entire American economy — the Obama Administration is comfortable with indebting our children and grandchildren for spending they neither made nor consented to. All the while, Obama has displayed its contempt for those who are already shouldering a disproportionate burden of current taxes. When one percent pays 37 percent of all income taxes, the Obama Administration has the nerve to argue that it is not enough. Never mind that close to half of all Americans pay nothing in federal income taxes. Making acceptable a culture of dependence, intolerance for faith, and demonization and punishment of hard work and success will have profound negative consequences for our culture. But, perhaps this is why the Obama Administration is doing so. While those with the bully pulpit should seek to inspire greatness in the American people, all President Obama seems to do is espouse resentment. He wants Americans to envy straw men. He wants them to believe that they are but mere victims of a grand conspiracy to rid them of any and all any recognition and reward for their hard work. Simultaneously, he wants them to believe that hard work should not be recognized and rewarded; that the fruits of their labor are to be handed over to the elite government for its “wise and prudent” redistribution. Contrary to President Obama’s interpretation of American history and culture, America’s success story is and will continue to be the result of limited government answering the views, ideas, and priorities of its people, not the result of government telling the American people what they need. It is the result of individuals being allowed to thrive, success being rewarded, and the spirit of charity and community responding to the immediate needs of those around us. And, it is the result of generation after generation leaving things better than they found them for the next not because government says to do so, but because God so instructs. Congressman Tim Huelskamp represents the First District of Kansas. He serves on the House Budget, Agriculture, and Veterans’ Affairs Committees. He can be found at huelskamp.house.gov. Kansas school forum. Tomorrow (January 31st) Dave Trabert of Kansas Policy Institute and Mark Tallman of Kansas Association of School Boards will participate in a town hall meeting with the subject being Kansas schools. The meeting is at 7:00 pm at the Central Branch Wichita Public Library at 223 S. Main. Capital gains tax rate. e21 has written an excellent explanation as to why the 15 percent tax on capital gains does not tell the entire story. Considering that capital gains are taxed twice, the true rate of taxation is 44.75 percent, which is much higher than the top income tax rate, and higher than the corporate tax rate. The full explanation is at Capital Gains Tax Rates Are Higher Than You Think, and Getting Higher. Kan-ed audit. Kan-ed is a state-run network designed “to provide broadband Internet access and distance learning capabilities for schools, hospitals, and libraries.” Kansas Legislative Division of Post Audit has just released an audit of this program. Among the audit’s findings: “Although the Kan-ed network is connected to the Internet, it is a very slow and expensive way of providing Internet access. … Most connected members need commercial Internet access or no Internet connection at all. … Kan-ed could save up to $2 million a year by switching slightly more than half of members to commercial Internet and disconnecting others.” And finally, a conclusion that reminds us of why government spending is almost always wasteful: “Kan-ed has done a poor job of monitoring network connections to ensure members actually need them and has rarely disconnected unneeded connections.” The audit highlights are at Kansas Board of Regents: Evaluating the Effects of Eliminating the Kan-ed Program, and the full audit report is here. Huelskamp and Sharpton. Last week U.S. Representative Tim Huelskamp, who is in his first term representing the Kansas first district, appeared on the MSNBC television program PoliticsNation. Huelskamp’s office writes: “Congressman Huelskamp engaged the Rev. Al Sharpton over the issue of current tax rates and whether or not it’s ‘fair’ that millionaires and billionaires are allegedly taxed at a lower rate than others. The Congressman argued that the top 1% pay the plurality of all taxes in America, and that the real issue is promoting opportunity and not class envy, citing that his constituents tend to care more about having the ability to find a job and make it on their own rather than what their neighbors’ incomes may or may not be.” I would say that Sharpton has a peculiar — and harmful — idea of what constitutes fairness. Video is at Promoting Opportunity, Not Class Envy. Super PACs. Are the new Super PACs a problem? No, write Nick Gillespie and Meredith Bragg of Reason. Here’s why: “Billionaires don’t need them to influence elections, Super PACS go negative — and that’s a good thing!, and Super PACS take power away from the parties.” More at 3 Reasons Not To Get Worked Up Over Super PACs. No school choice for Kansas. The Brownback plan contains no mention of school choice programs of any kind, not even charter schools. The latter are possible in Kansas, but the law is stacked against their formation. School choice programs are increasing in popularity in many states, because they hold the strong possibility of better results for students and parents. Plus, as the Friedman Foundation for Educational Choice has found in its study Education by the Numbers: The Fiscal Effect of School Choice Programs, 1990-2006, school choice programs save money: “Every existing school choice program is at least fiscally neutral, and most produce a substantial savings.” Governor Brownback could have integrated a small school choice program into the school financing plan as a way to save money and provide greater freedom for students and parents. … In what the Wall Street Journal dubbed the The Year of School Choice, Republican governors across the nation have founded or expanded school choice programs. Wrote the Journal: “But choice is essential to driving reform because it erodes the union-dominated monopoly that assigns children to schools based on where they live. Unions defend the monopoly to protect jobs for their members, but education should above all serve students and the larger goal of a society in which everyone has an opportunity to prosper. This year’s choice gains are a major step forward, and they are due in large part to Republican gains in last fall’s elections combined with growing recognition by many Democrats that the unions are a reactionary force that is denying opportunity to millions. The ultimate goal should be to let the money follow the children to whatever school their parents want them to attend.” … But under governor Brownback’s leadership, this is not happening in Kansas. Federal budget transparency. U.S. Representative Tim Huelskamp, who is in his first term representing the Kansas first district, this week expressed frustration with transparency involving the federal budget. “I appreciate the Congressman from Utah talking about transparency. The idea that just because we’re only shining some light on a particular aspect — on not on the whole process — to me that’s an argument we need more transparency on the whole process. I totally agree with that. The experience in my office in the last three days has been to make an attempt to find out what is in this Conference Committee report. It’s been three days, and at 12:37 am this morning that was posted online — 1,219 pages, not quite 11 hours ago. I’m a Member of Congress and I’m going to be expected to vote on that very quickly. There was an interesting quote in The Hill this morning. I don’t know who said it, but it quoted: ‘… [A]ppropriators are worried that the tactic could leave the omnibus text out in the public for too long, giving time for K Street lobbyists to attack it before it gets approved.’ I don’t care about the lobbyists. It’s my job. It’s a responsibility to my constituents. We need more transparency not less. We need more discussions of the tyranny of debt, not less. This type of legislation gives us that opportunity. It gives the American people more appropriately the opportunity to see what we are doing.” There is video of Huelskamp’s remarks. Open records in Wichita. “A popular Government without popular information or the means of acquiring it, is but a Prologue to A Farce or a Tragedy or perhaps both. Knowledge will forever govern ignorance, and a people who mean to be their own Governors, must arm themselves with the power knowledge gives.” That’s James Madison, framer of the First Amendment, 1822. Six of seven Wichita City Council members seem not to agree with Madison, and we have a city attorney who goes out of his way to block access to information that the public has a right to know. 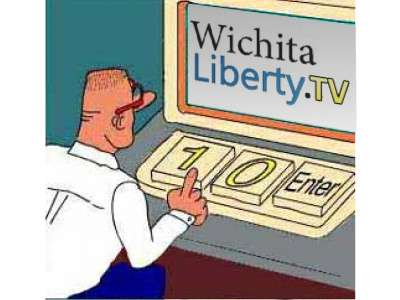 The City of Wichita’s attitude towards open records and government transparency will be a topic of discussion on this week’s edition of the KAKE Television public affairs program This Week in Kansas. That program airs in Wichita and western Kansas at 9:00 am Sundays on KAKE channel 10, and at 5:00 am Saturdays on WIBW channel 13 in Topeka. Cell phone ban while driving. Sometimes regulating a behavior, even though it is dangerous, makes things even worse. “A news release from the Highway Loss Data Institute summarizes the finding of a new study: “It’s illegal to text while driving in most US states. Yet a new study by researchers at the Highway Loss Data Institute (HLDI) finds no reductions in crashes after laws take effect that ban texting by all drivers. In fact, such bans are associated with a slight increase in the frequency of insurance claims filed under collision coverage for damage to vehicles in crashes. This finding is based on comparisons of claims in 4 states before and after texting ban, compared with patterns of claims in nearby states.” More at Texting bans haven’t worked. Myths of the Great Depression. “Historian Stephen Davies names three persistent myths about the Great Depression. Myth #1: Herbert Hoover was a laissez-faire president, and it was his lack of action that lead to an economic collapse. Davies argues that in fact, Hoover was a very interventionist president, and it was his intervening in the economy that made matters worse. Myth #2: The New Deal ended the Great Depression. Davies argues that the New Deal actually made matters worse. In other countries, the Great Depression ended much sooner and more quickly than it did in the United States. Myth #3: World War II ended the Great Depression. Davies explains that military production is not real wealth; wars destroy wealth, they do not create wealth. In fact, examination of the historical data reveals that the U.S. economy did not really start to recover until after WWII was over.” This video is from LearnLiberty.org, a project of Institute for Humane Studies, and many other informative videos are available. Last week the U.S. House of Representatives passed H.R. 3010: Regulatory Accountability Act of 2011. This law would, if passed by the Senate and signed by the president, would require regulatory agencies to “base all preliminary and final determinations on evidence,” among other reforms. It might surprise citizens to realize that regulations may be made for other reasons. All Kansas representatives voted for the bill, which passed 253 to 167. Votes were split primarily along party lines, although 19 Democrats voted in favor. Two Kansas members provided comments on the bill, and shared Gattuso’s opinion that this bill is just the start of controlling harmful and unneeded regulation. The House is expected to vote on the REINS Act today. Addressing members and guests of the Wichita Pachyderm Club last Friday, U.S. Representative Tim Huelskamp of the Kansas first district updated the audience on national spending and debt, a health information database that poses privacy risks, and Warren Buffett’s taxes. On being a new member of Congress, Huelskamp said people ask me “is Washington everything you thought it would be?” And I answer yes — and much worse. Huelskamp said that for every dollar spent in Washington, 41 cents is borrowed money. And while some in Washington say that there is a plan to get things under control, he said this is not happening yet. He described a budget committee hearing in which four economists testified. He asked how long do we have until we reach the point of no return such as Greece is at presently, where they can’t pay back their debt? The first economist, a conservative, said “act as if you have no time left.” The other three economists — moderates and liberals — said they agreed with the first economist’s assessment. During a series of budget negotiations in the spring, Huelskamp said that initially House leadership had started with the idea of cutting $100 billion. But that number was thought to be too much, and eventually Congress and the president settled on cuts of $25 billion. But the actual spending that was cut was only $350 million, or just about one-third of a billion dollars. Huelskamp described the debt ceiling negotiations in the summer as a situation where the president had to have Congress’s permission to raise the debt ceiling. But he said Congress agreed to no cuts at all, despite having this power. He didn’t want to vote to just “kick the can down the road,” and that’s why he voted against raising the debt ceiling in August. He also told of hearing from a high-ranking Chinese official at a budget committee hearing. The official — Huelskamp reminded the audience that China is a communist country — told the committee members the things they would have to do with the budget. While Huelskamp agreed with the official’s assessment of what the U.S. needed to do with its budget, he wondered how do we get in this position, where we turn over, often, our sovereignty to foreign nations. Switching topics, Huelskamp described former Kansas Governor Kathleen Sebelius, now Secretary of Health and Human Services, as the third-most powerful person in Washington, due to her position implementing national health care. Regarding health care, Huelskamp is troubled by a database HHS is proposing that will be used to regulate insurance companies. If insurance companies sign up healthy people, they will be taxed, and they will receive subsidies for insuring sick people. Huelskamp said the only way to determine this behavior by insurance companies — are they insuring the healthy or sick? — is by looking at the health insurance histories of the individual people each company insures. He views this as a threat to patient privacy. According to Wichita Eagle reporting, HHS will collect only information that is not personally identifiable. But in a Washington Examiner op-ed on this topic, Huelskamp wrote: “The federal government does not exactly have a stellar track record when it comes to managing private information about its citizens.” He provided several examples of data being lost. As ObamaCare is evolving in the rule-making process overseen by Sebelius, we can’t be sure what requirements, regulations, or uses might be found for this patient health history data. Wichita City Council. Tomorrow the Wichita City Council considers these items: First, the council will have a do-over of a public hearing it held on September 21st. The need for this arises from a mistake regarding proper notification. Mistakes like this are not uncommon at Wichita city hall. … Then the council considers revising the development agreement for the Ken-Mar TIF district. More about that at Ken-Mar TIF district, the bailouts. … The council will be asked to approve an agreement with Service Employees International Union (SEIU) Local 513 providing for pay raises of 2.5 percent per year for the next two years. … As always, the agenda packet is available at Wichita city council agendas. Do-nothing Hoover? A new briefing paper from the Cato Institute (Herbert Hoover: Father of the New Deal) challenges the commonly-held view of President Herbert Hoover as doing nothing to prevent or fix the Great Depression. “Politicians and pundits portray Herbert Hoover as a defender of laissez faire governance whose dogmatic commitment to small government led him to stand by and do nothing while the economy collapsed in the wake of the stock market crash in 1929. In fact, Hoover had long been a critic of laissez faire. As president, he doubled federal spending in real terms in four years. He also used government to prop up wages, restricted immigration, signed the Smoot-Hawley tariff, raised taxes, and created the Reconstruction Finance Corporation — all interventionist measures and not laissez faire. Unlike many Democrats today, President Franklin D. Roosevelt’s advisers knew that Hoover had started the New Deal. One of them wrote, ‘When we all burst into Washington … we found every essential idea [of the New Deal] enacted in the 100-day Congress in the Hoover administration itself.’ Hoover’s big-spending, interventionist policies prolonged the Great Depression, and similar policies today could do similar damage. Dismantling the mythical presentation of Hoover as a ‘do-nothing’ president is crucial if we wish to have a proper understanding of what did and did not work in the Great Depression so that we do not repeat Hoover’s mistakes today.” … Well worth reading. Was August 2nd a deadline? All through the debate over raising the federal debt ceiling it was taken as granted that the deadline — the day the U.S. Treasury would run out of money — was August second. U.S. Representative Tim Huelskamp, who is in his first term representing the Kansas first district, has released data that shows otherwise. A chart on his website shows a declining balance in the treasury, but projections show a positive balance far past August second. Despite drag of government health care, Canada thrives. The unemployment rate in Canada has fallen, GDP growth is healthy, and there were no bank bailouts. It has been able to reduce the size of its government relative to its economy, writes Jason Clemens in Why Canada Is Beating America: It shrank government, and now unemployment and debt are declining: “Total government spending as a share of the economy peaked at a little over 53% in 1993. Through a combination of spending cuts in the 1990s and spending restraint during the 2000s, it declined to a little under 40% of GDP by 2008.” … For 2010, government spending at all levels in the U.S. amounted to 36.22 percent of GDP, according to the Bureau of Economic Analysis. While that compares favorably with Canada’s level, the trend in the U.S. is for spending to increase, having risen from 30.82 percent in 2004. … According to Clemens, the success of Canada’s economy is in spite of its government health care, not because of it: “The unavoidable challenge is the country’s health-care system. … Canada devotes a relatively high share of its economy to health care without enjoying commensurate outcomes. Of the 28 countries in the Organization for Economic Cooperation and Development (OECD) that have universal access, Canada has the sixth-highest rate of health spending as a share of its economy.” It would be one matter if Canadians enjoyed good results from all this health care spending. “But Canadians’ access to care is poor, despite high spending. The country ranks 20th of 22 OECD countries for access to physicians. … Waiting times for treatment continue to worsen.” … Liberals in the U.S. point to Canada as a model for government health care, but the actual situation is not one that we should aspire to. Kansas government website revamped. Kansas has remodeled its main website, kansas.gov. Besides a new look, I think a useful feature will be the use of a Google site-specific search feature. These generally work very well, applying the power of the popular and effective search engine to a specific website. Time will tell as to whether the design is useful. The state does not have a good record in recent times of website redesigns, as the effort to replace the legislature’s website right as the session started was a disaster. The press release with other details is at New State Web Portal Provides Better Experience, Mobility. Demand is not the problem. A recent letter to the Wichita Eagle started with “The only thing that creates jobs is demand for product.” This idea of economic wealth deriving from consumer demand is a Keynesian concept, and we’ve seen over and over the wreckage that Keynesian economics leaves on countries — starting with our own efforts to cure the Great Depression to the failing economic policies of President Barack Obama. It’s also curious to blame economic stagnation on the absence of desire of people for more stuff. People want more stuff — that’s human nature. It is by producing more that we create the wealth necessary to satisfy our demands. Production benefits from capital formation, and the policies of the United States are not favorable for this. … The author also promotes increasing exports while at the same time urging Americans to buy only U.S.-made products. This ignores the fact that trade — no matter who the trading partner — is a source of wealth. Both parties are made better-off through trade; otherwise the transaction would not take place. This Week in Kansas. On this week’s edition of the KAKE Television public affairs program This Week in Kansas, Ken Ciboski (Associate Professor of Political Science at Wichita State University), John D’Angelo (Arts & Cultural Services Manager for the City of Wichita), and myself join host Tim Brown for a discussion of arts and government funding in Kansas. This Week in Kansas airs in Wichita and western Kansas at 9:00 am Sundays on KAKE channel 10. Kansas taxes. A short report produced by Americans for Prosperity, Kansas shows some of the reasons why economic growth in Kansas has been sluggish: “Kansas’ state and local tax burden continues to be amongst the highest in the region.” Kansas has fewer private sector jobs than it did ten years ago. And in what should be a grave cause for alarm, Kansas was the only state to have a net loss of private sector jobs over the last year. … A table of figures illustrates that although Oklahoma kept its sales tax rate low and constant while Kansas increased its rate, tax revenue increased much more in Oklahoma. Download the report at AFP-Kansas Income Tax Policy Primer. Wichita sales tax. Speaking of sales tax and its harmful effect, Wichita seems to want to raise its rate. Proposals have been floated for a sales tax for economic development in general, for increased transit (bus) service, for drainage projects, and for downtown projects. Boosters cite the Intrust Bank Arena as an example of a successful project paid for by a sales tax that disappeared as promised. That’s despite the dreams of Sedgwick County Commissioner Tim Norton: “Then, as that tax was nearing its end, Norton ‘wondered … whether a 1 percent sales tax could help the county raise revenue.’ (‘Norton floats idea of 1 percent county sales tax,’ Wichita Eagle, April 4, 2007)” … Boosters of the arena promote it as a financial success, and there was the presentation to the county of a check for $1,116,442 as its share of the arena’s earnings. This figure, however, does not represent any sort of “profit” or “earnings” in the usual sense. In fact, the introductory letter that accompanies these calculations warns readers that these are “special-purpose financial statements” and “are not intended to be a presentation in conformity with accounting principles generally accepted in the United States of America.” In particular, Commissioner Karl Peterjohn has warned that these figures — and the monthly “profit” figures presented to commissioners — do not include depreciation expense. That expense is a method of recognizing and accounting for the large capital cost of the arena. In April the County released that number, and I believe it has not been reported by any news media. That may be because the number is pretty big — $4.4 million, some four times the purported “earnings” of the arena. … Without honest discussion of numbers like these, we make decisions based on incomplete and false information. Don’t look for many local government leaders and officials to talk about this number, and certainly not the Wichita Eagle editorial page. Koch criticism backfires — again. For those who follow the issue, it’s no surprise that Lee Fang, a reporter for the liberal think tank Canter for American Progress has come out with another attack on Charles and David Koch. Mark Hemingway of the Weekly Standard reports on this effort: “Think Progress reporter Lee Fang has a long history of being spectacularly wrong. However, there’s a seemingly unending thirst for his breathless demonization of the Koch brothers and other rants about corporate greed among the low IQ end of the liberal spectrum.” Fang disagrees with a recent U.S. Supreme Court decision, and he lambasts the litigators who brought the suit as “heavily financed by right-wing corporate money, particularly from Koch Industries and Walmart.” He also criticizes organizations for not dislosing their donors. Hemingway notes this: “In the case of the Koch brothers, they have been outspoken philosophical libertarians for decades. Their support of free speech over onerous campaign laws is entirely consistent and should not be surprising. However, in the case of Wal-Mart Fang is also astoundingly hypocritical. Because you know who else is a ‘Walton-Funded Group’? Lee Fang’s employer.” And the secret donations that Fang rails against so passionately? Hemingway again: “You know who else accepts ‘secret donations from individuals and corporations’? That’s right — the Center for American Progress.” … For another example of Fang’s reporting, see ThinkProgress and Lee Fang: wrong again. Tension on debt ceiling issue. In The Wall Street Journal Kimberly Strassel writes that the current debt and spending crisis may lead to an end to farm subsidies, something she described as a “sacred federal spending cow:” “For decades, the House and Senate agriculture committees have been the last redoubts of congressional bipartisanship, liberals and conservatives united in beating back any outside attempts to cut off tens of billions annually for price supports, crop insurance, weather assistance, conservation handouts and nutrition programs. The last real stab at reform was the mid-1990s Freedom to Farm bill. Most of the changes were obliterated by subsequent bailouts and new spending.” … She describes how Arizona Congressman Jeff Flake got a limit of farm subsidies through the Appropriations Committee, but House Agriculture Committee Chairman Frank Lucas used a maneuver to block Flake’s proposal. So much for that effort at reform, blocked by a Republican. Lucas’ website promotes a conservative message, with one post criticizing bailouts. But not for farmers, it seems. … Wichita’s Mike Pompeo is mentioned: “Mr. Pompeo is waiting to see what debt package emerges and says his vote will depend on whether it contains real ‘structural’ reform. But he also tells me he doesn’t intend to let parochial interests cloud his decision. ‘I came here to be a small-government guy every day, and not just when it is spending cuts in somebody else’s district,’ he says.” … Although not mentioned in this article, Tim Huelskamp, who represents the Kansas first district, has been upfront in discussing the need to reduce or eliminate farm subsides, and so far, many farmers seem to be accepting of that. Huelskamp’s district, which covers all of western Kansas (and more), is usually second on the list of congressional districts in terms of total farm subsidies received. For 2009, that figure was $369 million. At the RightOnline conference in Minneapolis, U.S. Representative Tim Huelskamp of the Kansas first district told the general session audience that federal spending and debt is a threat to the future of America, and that we must use the opportunity of the upcoming debt ceiling vote to force spending cuts. Introduced by Alan Cobb of Americans for Prosperity as someone who — in his first race for the Kansas Senate — beat the best kind of Republican to beat: “one of those squishy ones.” Huelskamp served 14 years in the Kansas Senate, and was elected to the House of Representatives last November. A leader in technology, he was the first Kansas legislator to have a laptop computer in the chamber, and was instrumental in passing Kansas’ online transparency bill. And, Cobb said, he was the first member of Congress to bring an Ipad to the speaker’s podium. In his remarks to the audience, Huelskamp said he was one of those new “testy freshmen.” He said he spent the first few months wondering around Washington wondering how he got here, then he started to wonder how those other guys got here. He described listening to budget debate on the House floor. In response to what a leftist Member said, he turned to a senior Republican and said “Do they really believe what they just said, or are they lying?” The response: They really believe what they’re saying. They really believe that government can do better with your money than you can, and that the stimulus didn’t work because it was too small, he said. Washington is about hypocrisy, he told the audience. They have a plan for themselves, and another plan for the rest of us. ObamaCare and the health care waiver process is an example of this. Dozens of labor unions spent hundreds of millions to elect President Obama and to push his health care plan through, only later to receive an exemption from its provisions. In Washington, Huelskamp said that Ben Bernanke, the Chairman of the Federal Reserve System, says we can “use the debt ceiling as a lever to change America.” Huelskamp said that despite the risk of being accused a contrarian, that’s exactly what we need to do. Calling the debt ceiling an “opportunity of a lifetime,” he said that we must keep on the pressure to extract spending cuts. The votes are very close, he said. Huelskamp said we must “act as if we have no time left.” We must face our debt crisis now. We can’t put off decisions. It is a spending problem, he said, a power problem. It is Washington telling us what to do with our own money. This Week in Kansas. Recently the KAKE Television public affairs program This Week in Kansas started placing episodes on its website. On the most recent episode, Malcolm Harris and I join host Tim Brown for a discussion of the Kansas Legislature and economic development topics. Also, Meteorologist Jay Prater contributes a segment on storm preparation. Legislature is through for season. Today both the Kansas House of Representatives and Senate met for sine die, a fancy Latin term for its ceremonial last day, although action may be taken. The House made an attempt to override the governor’s line-item veto of funding for the Kansas Arts Commission, but the effort failed by a vote of 50 to 44. Two-thirds, or 84 votes, would be needed to override the veto. The Senate didn’t make an attempt. The next meeting of both chambers of the Kansas Legislature will be on January 9, 2012, although there are many committee meetings during the summer and fall months. Stossel looks at energy. In a recent episode of his weekly television show available to view using the free hulu service, John Stossel looks at various forms of energy and asks: Who will keep the lights on? … Early in the show, Stossel argues with Bill O’Reilly over the role of speculators in the run-up of oil prices. O’Reilly favors strict regulation of speculators, believing that the market is rigged. In a discussion with two guests, wild speculation was promoted as the cause of rapidly rising prices, with some trades by traders said to be stoned at the time. But it was mentioned that speculation carries huge risks, and if the speculators are wrong, they lose — and big. For more on speculators, see Speculators selfishly provide a public service. The failure of American schools. The Atlantic: “Who better to lead an educational revolution than Joel Klein, the prosecutor who took on the software giant Microsoft? But in his eight years as chancellor of New York City’s school system, the nation’s largest, Klein learned a few painful lessons of his own — about feckless politicians, recalcitrant unions, mediocre teachers, and other enduring obstacles to school reform.” Key takeway idea: “As a result, even when making a lifetime tenure commitment, under New York law you could not consider a teacher’s impact on student learning. That Kafkaesque outcome demonstrates precisely the way the system is run: for the adults. The school system doesn’t want to change, because it serves the needs of the adult stakeholders quite well, both politically and financially.” … Also: “Accountability, in most industries or professions, usually takes two forms. First and foremost, markets impose accountability: if people don’t choose the goods or services you’re offering, you go out of business. Second, high-performing companies develop internal accountability requirements keyed to market-based demands. Public education lacks both kinds of accountability. It is essentially a government-run monopoly. Whether a school does well or poorly, it will get the students it needs to stay in business, because most kids have no other choice. And that, in turn, creates no incentive for better performance, greater efficiency, or more innovation — all things as necessary in public education as they are in any other field.” … Overall, an eye-opening indictment of American public schools. History and legacy of Kansas populism. Recently Friends University Associate Professor of Political Science Russell Arben Fox delivered a lecture to the Wichita Pachyderm Club that was well-received by members. Now Fox has made his presentation available on his blog In Media Res. It’s titled The History and Legacy of Kansas Populism. Thank you to Professor Fox for this effort, and also to Pachyderm Club Vice President John Todd, who arranges the many excellent programs like this that are characteristic of the club. Federal grants seen to raise future local spending. “Nothing is so permanent as a temporary government program.” — Nobel Laureate Milton Friedman (The Yale Book of Quotations, 2006) Is this true? Do federal grants cause state and/or local tax increases in the future after the government grant ends? Economists Russell S. Sobel and George R. Crowley examine the evidence and find the answer is yes. The conclusion to their research paper Do Intergovernmental Grants Create Ratchets in State and Local Taxes? Testing the Friedman-Sanford Hypothesis states: “Our results clearly demonstrate that grant funding to state and local governments results in higher own source revenue and taxes in the future to support the programs initiated with the federal grant monies. Our results are consistent with Friedman’s quote regarding the permanence of temporary government programs started through grant funding, as well as South Carolina Governor Mark Sanford’s reasoning for trying to deny some federal stimulus monies for his state due to the future tax implications. Most importantly, our results suggest that the recent large increase in federal grants to state and local governments that has occurred as part of the American Recovery and Reinvestment Act (ARRA) will have significant future tax implications at the state and local level as these governments raise revenue to continue these newly funded programs into the future. Federal grants to state and local governments have risen from $461 billion in 2008 to $654 billion in 2010. Based on our estimates, future state taxes will rise by between 33 and 42 cents for every dollar in federal grants states received today, while local revenues will rise by between 23 and 46 cents for every dollar in federal (or state) grants received today. Using our estimates, this increase of $200 billion in federal grants will eventually result in roughly $80 billion in future state and local tax and own source revenue increases. This suggests the true cost of fiscal stimulus is underestimated when the costs of future state and local tax increases are overlooked.” … An introduction to the paper is here. American exceptionalism. This Friday (April 29) the Wichita Pachyderm Club features Kenneth N. Ciboski, Ph.D, Associate Professor of Political Science at Wichita State University. He will speak on the topic “American Exceptionalism: How and Why Are We Different From Europe?” The public is welcome and encouraged to attend Wichita Pachyderm meetings. For more information click on Wichita Pachyderm Club. … Upcoming speakers: On May 6, Dr. Malcolm C. Harris, Sr., Professor of Finance, Friends University on the topic “Shale gas: Our energy future?” On May 13, Craig Burns and Glenn Edwards of Security 1st Title Co. on the topic “Real Estate Transactions, Ownership, Title, and Tales From the Trenches.” On May 20, Rob Siedleckie, Secretary, Kansas Social Rehabilitation Services (SRS) on the topic “The SRS and Initiatives.” On May 27, Todd Tiahrt, Former 4th District Congressman on the topic “Outsourcing our National Security — How the Pentagon is Working Against Us”. Wichita City Council this week. As this week is the fourth Tuesday of the month, the Wichita City Council considers only consent agenda items. This agenda has two acquisition of property by eminent domain, one for improvements to East 13th Street, and another for land involved in the aquifer recharge project in Harvey County. … There will also be council member appointments, and with three new council members on board, there could be a number of these. … A workshop will follow to present updates to the downtown Wichita public incentive policy. A Wichita Eagle story reported on this, but raised more confusion than answers. For example, the story reports the proposal will include “A private-to-public capital investment ration [sic] of 2-to-1.” This differs from the Goody Clancy plan for downtown Wichita, which calls for a five to one ratio. The Great American Bailout. Tim Huelskamp, a new member of the United States Congress from the Kansas first district, warns of the seriousness of the problem the country faces with the budget and debt: “This past Monday, Standard & Poor’s (S&P) announced that it was cutting its outlook on the U.S. from “stable” to “negative,” increasing the likelihood of a potential downgrade of America’s credit rating. This should be a dire wake-up call to Washington that the time is now to address federal red ink. For all of America’s greatness, it is embarrassing that the United States may become a credit risk.” He details the rising amount of national debt, and also the increasing percentage that is held by foreign countries. … Soon we will be faced with the decision to raise our national debt limit. Huelskamp says the only way he could support increasing the ceiling is there is also a “serious and meaningful compromise that makes substantial and real cuts to the deficit and debt.” He also supports a balanced budget amendment to the Constitution. “Not yours to give rally” in Topeka. Next Thursday (April 28) a coalition of groups is holding a rally at the Kansas Capitol building. The event starts at 10:00 am and lasts until 2:00 pm. The lineup of speakers and topics includes Rep. Charlotte O’Hara: “Federal control of the state through the state budget,” Larry Halloran (Wichita South Central 9-12 Group): “Government Charity, the Constitution and the Rule of Law,” Dave Trabert (Kansas Policy Institute): “Kansas Budget Policy and Spending Habits,” Rep. Kasha Kelley: “House Budget,” Richard D. Fry (Patriots Coalition ): “Govt. Lawlessness and Implementing Obama Care,”Angelo Mino (Born in Ecuador – MADE in America): “Reason to Become a New Born American,” Derrick Sontag (Americans for Prosperity): “History of a Growing Kansas Budget,” and Rep. Lance Kinzer: “Court of Appeals Legislation.” … AFP is sponsoring a free bus trip from Wichita for this event. The bus will leave Wichita at 7:00 am, and should be back by 6:00 pm. The bus trip is free but reservations are required. For more information on the bus trip contact John Todd at [email protected] or 316-312-7335, or Susan Estes, AFP Field Director at [email protected] or 316-681-4415. Kansas Bioscience Authority benefits from exemptions. The Kansas Bioscience Authority has benefited from exceptions to the Kansas Open Records Act written for its own benefit. Kansas Watchdog reports. The presidency in liberal society. Eighteen months before the election, presidential politics consumes a lot of energy. Conservatives complain that President Obama is already in full campaign mode. Liberals poke fun at Republicans for, well, for a lot of reasons. But with a properly limited government, we should care very little who is our president. Lew Rockwell explains in this excerpt from a speech titled “An American Classical Liberalism”: Every four years, as the November presidential election draws near, I have the same daydream: that I don’t know or care who the president of the United States is. More importantly, I don’t need to know or care. I don’t have to vote or even pay attention to debates. I can ignore all campaign commercials. There are no high stakes for my family or my country. My liberty and property are so secure that, frankly, it doesn’t matter who wins. I don’t even need to know his name. In my daydream, the president is mostly a figurehead and a symbol, almost invisible to myself and my community. He has no public wealth at his disposal. He administers no regulatory departments. He cannot tax us, send our children into foreign wars, pass out welfare to the rich or the poor, appoint judges to take away our rights of self-government, control a central bank that inflates the money supply and brings on the business cycle, or change the laws willy-nilly according to the special interests he likes or seeks to punish. His job is simply to oversee a tiny government with virtually no power except to arbitrate disputes among the states, which are the primary governmental units. He is head of state, though never head of government. His position, in fact, is one of constant subordination to the office holders around him and the thousands of statesmen on the state and local level. He adheres to a strict rule of law and is always aware that anytime he transgresses by trying to expand his power, he will be impeached as a criminal. Duplication in federal programs found. Washington Examiner Editorial: “Nobody with even minimal knowledge of how public bureaucracies work should be surprised by the Government Accountability Office’s conclusion that there is a ‘staggering level of duplication’ in the federal government. Duplication is inevitable when professional politicians in both major parties go for decades using tax dollars to buy votes among favored constituencies, and reward friends, former staffers, family members and campaign contributors with heaping helpings from the pork barrel. With the inevitable program duplication also comes an endless supply of official duplicity as presidents, senators and representatives rationalize spending billions of tax dollars on programs they know either don’t work as promised, or that perform the same or similar functions as existing efforts and are therefore redundant.” … And they say it’s tough to cut spending. Public school town hall meetings. Walt Chappell, Kansas State Board of Education member, is holding two public meetings in Wichita this week. Chappell writes: “You are cordially invited to share your top 4 priorities for what Kansas K-12 students should learn at a Town Hall meeting this week. Your Kansas State Board of Education is deciding how to improve our schools at a Board retreat on March 7th. As your elected representative on the KSBOE, I look forward to hearing your suggestions before we vote.” The first meeting is Thursday March 3rd from 6:30 pm to 8:30 pm at Lionel D. Alford Library located at 3447 S. Meridian (just north of I-235). A second meeting will be on Saturday March 5th from 2:30 pm to 4:30 pm at Westlink Public Library, 8515 W. Bekemeyer, just North of Central and Tyler. Wichita school board candidates. This Friday (March 4th) the Wichita Pachyderm Club features candidates for the board of USD 259, the Wichita public school district. For the at-large seat, the candidates are Sheril Logan, Carly Miller, and Phil Neff. For district 4, the candidates are Michael Ackerman, Jr., Jeff Davis, and Clayton Houston. The public is welcome and encouraged to attend Wichita Pachyderm meetings. For more information click on Wichita Pachyderm Club. Bureaucrats can’t change the way we drive … but they keep trying. More from the Washington Examiner, this time by Fred Barnes. “For most Americans — make that most of mankind — the car is an instrument of mobility, flexibility and speed. Yet officials in Washington, transportation experts, state and local functionaries, planners and transit officials are puzzled why their efforts to lure people from their cars continue to fail.” While Barnes writes mostly about automobiles vs. transit from a nationwide perspective, the issue is important here in Wichita. The revitalization of downtown Wichita contains a large dose of public transit as a way for people to get around downtown. It’s also likely that various streets will be restructured to make them less friendly to automobiles. .. More broadly, a major reason for some to support public funding of downtown is their hatred of “sprawl” and its reliance on the automobile, despite that being the lifestyle that large numbers of Wichitans prefer. They see this as something that government needs to correct. Wednesdays in Wiedemann tonight. Today (March 2) Wichita State University’s Lynne Davis presents an organ recital as part of the “Wednesdays in Wiedemann” series. These recitals, which have no admission charge, start at 5:30 pm and last about 30 minutes. … Today is an all-Bach program, and Davis writes: “This is music for the soul, music for when the weather isn’t quite what it needs to be, music to heal our coughs and colds, music to meditate by — however this grand yet simple composer speaks to you.” … The location is Wiedemann Recital Hall (map) on the campus of Wichita State University. For more about Davis and WSU’s Great Marcussen Organ, see my story from earlier this year. Americans for Prosperity website attacked. The website of Americans for Prosperity has been attacked by a group that disagrees with AFP’s position on issues. AFP President Tim Phillips issued a statement: “Americans for Prosperity has established itself as a leading voice in one of the great political debates underway in this country over government spending and how best to restore the fiscal solvency of governments at both the state and federal level. Yesterday, a group claimed credit for an attempt to silence our voice and to stifle that debate through an illegal attack on our website. While the political debate over government spending can be heated, we hope that even our opponents will join us in condemning this illegal attack on our free speech rights as unacceptable and irredeemable. Our country cannot meet the great challenges before us if we cannot have a free and open discussion about the threats that we face. Americans for Prosperity will not be intimidated and will not be deterred from our effort to support responsible economic policies, including the efforts of Governor Walker and other democratically elected leaders in that state to balance the budget through common-sense reforms.” … While I agree with Phillips that free and open discussion is necessary to resolve the issues we face, the disruption of AFP’s website is really more a property rights issue than a speech issue. Kansas presidential primary pitched as economic development. Washburn University political science professor Bob Beatty: “Why the dash by states to be early on the [presidential primary] calendar? The first is political power and ego. Early primary and caucus states merit attention from the presidential candidates to party big-wigs and power brokers within these early states. But a second reason has rapidly risen in prominence: The economic impact that candidate visits and media coverage of same brings a state. One economist has argued that the economic impact of the Iowa caucuses on the Iowa economy in 2004 was in the neighborhood of $50-$60 million. Other states want a piece of that action.” The complete editorial is Insight Kansas Editorial: Creative Thinking About 2012 GOP Presidential Caucus Can Benefit State. Huelskamp joins Tea Party Caucus. Tim Huelskamp, a new member of the United States Congress from the Kansas first district, has joined the Congressional Tea Party Caucus headed by Michele Bachmann. The two other new members of the House of Representatives from Kansas have not joined. Although the primary is barely over and the general election is nearly three months away, a poll covering the race for United States Congress from the Kansas first district has already been released. The candidates for this position include Republican Tim Huelskamp, who is a Kansas Senator and farmer from the southwest Kansas town of Fowler. He won the Republican primary election on August 3rd. The Democratic Party nominee is Alan Jilka. He did not have an opponent in the primary election. Jilka is a Salina businessman and has served three terms as that north-central Kansas city’s mayor. The Libertarian Party nominated Jack Warner of Wright, just east of Dodge City. In the poll, Huelskamp leads with 65 percent of the respondents indicating they would vote for the Republican. Jilka received 23 percent, and Warner received seven percent. Five percent said they were undecided. In the hotly contested Kansas Republican primary elections this year, polls generated a lot of interest. In two Kansas Congressional districts, independent polls did a good job of predicting the vote for all candidates except the two winners, and a candidate’s own poll may have been undermined by large voter turnout. In a KWCH/SurveyUSA poll of the Kansas first Congressional district, the poll accurately (within the margin of sampling error) predicted the outcomes for all candidates except for victor Tim Huelskamp. The survey predicted 24 percent of the vote for him, and the actual vote was 35 percent. This poll had three candidates tied, so it didn’t predict a winner. The same group also polled the fourth Congressional district. For three candidates — Jim Anderson, Wink Hartman, and Jean Schodorf, the poll predicted the exact percentage that the candidates actually received. The exception was winner Mike Pompeo. The poll predicted he would win and receive 31 percent of the vote. He did win, and his actual vote total was 39 percent. An election eve poll by political consulting firm Singularis had mixed results in the fourth district, but is notable in that it predicted eventual winner Pompeo’s vote total closely. The poll indicated 37 percent of the vote, and the actual was 39 percent. In the fourth district, Schodorf released four polls that her campaign commissioned. Each poll showed her support increasing, until in the third poll, she took the lead. In the fourth poll her lead increased. In a conversation before the election with Schodorf’s pollster, he indicated several reasons why the numbers in her surveys were different than the KWCH/SurveyUSA poll numbers. One difference between the polls was the source of the voters called by the pollsters. The KWCH/SurveyUSA polls started with a list of households. To determine likely voters, the pollster would ask respondents if they were going to vote. Schodorf’s polls used voter lists as a source, calling only on voters who had a history of voting in August primary elections. Because many people look at voting as a positive civic duty, it is thought that people will overstate their actual tendency to vote, and this is a reason why polls might decide to use voter history as a selection device, especially in primary elections where turnout is generally low. It is standard practice of campaigns to use voter lists in their voter contact efforts. But this year voter turnout was high. The Wichita Eagle reported voter turnout in Sedgwick County — home to about 71 percent of the population in the fourth district — was 25 percent. That’s higher than the 19 percent turnout predicted statewide, and higher than in most primary elections. Considering Republican voters, the Sedgwick County election office reports there are 104,558 registered Republicans, and 49,967 Republican ballots were cast. That indicates a turnout of almost 48 percent, considering Sedgwick County only. By calling only those with a history of primary voting, many people who voted in this election would not have been sampled by polls based on voter history. The Schodorf polls were conducted by live operators, while the KWCH/SurveyUSA polls were automated response. This can lead to a difference in the types of people that respond to the poll. In the Republican Senate primary between Jerry Moran and Todd Tiahrt, the final KWCH/SurveyUSA poll had Moran ahead by 49 to 39 percent, with eight percent undecided. The actual totals were Moran winning with 50 percent to Tiahrt’s 45 percent, so that poll understated Tiahrt’s total by six percentage points while correctly choosing the winner. At State of the State KS, Fort Hays State University Political Science Professor Chapman Rackaway contributes analysis of the statewide and Congressional races. Rackaway notes that the Kansas first and fourth Congressional districts were expected to be very close races, but both Tim Huelskamp and Mike Pompeo won going away with large margins. For results of statewide races and other state offices, click on 2010 unofficial primary election results at Kansas Secretary of State.